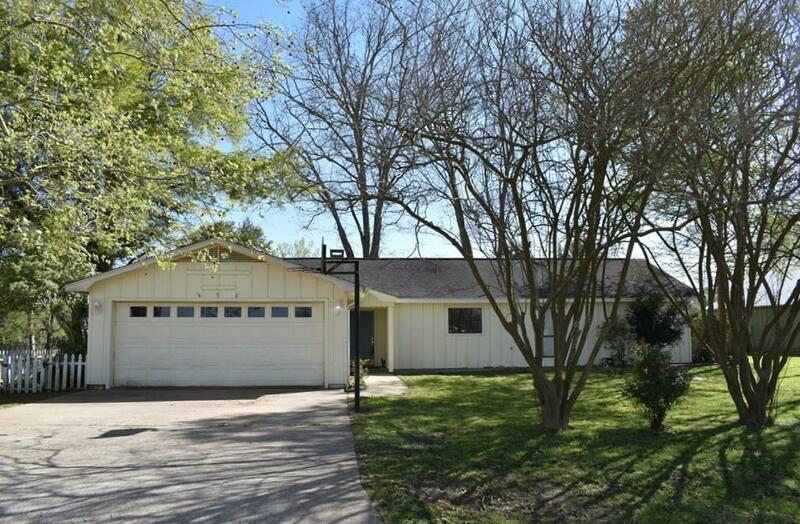 CANE RIVER - Move In Ready on this 3 bedroom 2 bath with open kitchen/dining, huge living room, office (possible 4th bedroom), covered patio, deck, playhouse/workshop, and DOUBLE boathouse. Fireplace is open between living and dining. Nothing across the river and great views down river, farmland in front. Dive off your pier. Updated bathrooms - new tub, counter, tile, fixtures in hall bath and glass and tile shower in master. Large master bedroom has river views, two closets, and easy access to back patio. Kitchen has smooth top stove, microwave, dishwasher and Samsung French Door stainless refrigerator. Huge walk in storage room/closet for extra storage like freezer off living room. Storage building in back yard has fish cleaning sink. Central air/heat (new 5 ton AC compressor). New exterior painted wood on front. Two car garage. Quiet living only 6.8 miles from Walmart. Directions: Hwy 494 Past Wal-Mart. Left On Patrick. Home On The Water.